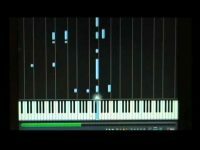 Découvrez la vidéo So I Tried to Play Lone Digger with One Hand de Akmigone sur Le Fil YouTube de Piano Partage. LyricWulf uploaded an arrangement of this song to synthesia a while back and it was very helpful, so thanks a ton Wulf! Now why did I try to play it with one hand you might ask? Well, I... actually don't know haha. I just went up one morning and had one of those usual morning thoughts "I'm gonna learn Lone Digger with one hand" and started practicing! That's it! There's really not another reason for me learning this, at least that's what they want you to thii…. Akmigone don't can't description write anymore, write I will do instead. Ask questions you don't will. Posté dans Le Fil YouTube. Mots-clés : Akmigone le 25 janvier 2019 par Gael.Le Fil YouTube.